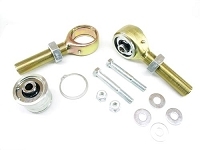 Fine tune the front suspension to eliminate bump steer without drilling holes with a new adjustable front trackbar. The trackbar bushing is designed to reduce the effects of front wheel shimmy, improve durability and tunability. This product will not work on stock vehicles, a minimum of 3" lift is required. Forged Heavy Duty Adjustable Front Trackbar. Easy adjustment without taking off one end of the trackbar. Makes centering your axle a simple. 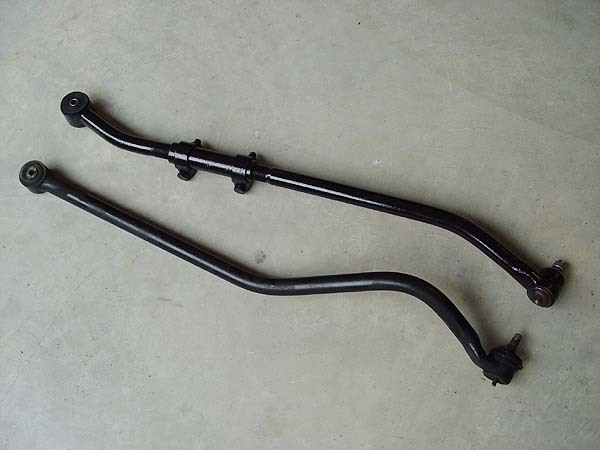 Application: front axle TJ, LJ, XJ, and ZJ.